Piracetam is a substance derived from gamma-aminobutyric acid (GABA), a type of amino acid and brain chemical. Often referred to as a "smart drug," piracetam is available over-the-counter in a number of countries (including the United Kingdom). Although piracetam is also available for sale in the United States, the U.S. Food & Drug Administration has stated that piracetam cannot be marketed as a dietary supplement due to the fact that it cannot be classified as a vitamin, mineral, amino acid, botanical, or dietary substance. Piracetam is said to act as a nootropic, a class of drugs designed to enhance memory and boost cognitive function. In alternative medicine, it's thought that piracetam can help increase brain function by promoting communication between the left and right hemispheres of the brain. Piracetam is also said to slow up the aging process and promote recovery from alcoholism. For a report published in the Cochrane Database of Systematic Reviews in 2012, investigators analyzed the available research on the use of piracetam among stroke patients. The study's authors note that piracetam can help protect against the formation of blood clots and shield nerve cells from injury or breakdown, which could benefit stroke patients. However, looking at data from three clinical trials (involving a total of 1,002 patients), the report's authors found no evidence that piracetam can help improve functioning or reduce mortality in people who have experienced a stroke. 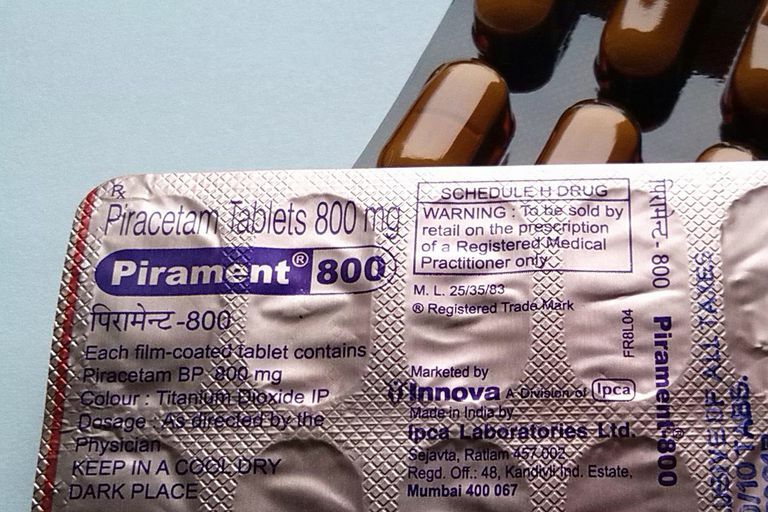 Piracetam may benefit elderly people suffering from dementia or cognitive impairment, according to a 2002 report published in Dementia & Geriatric Cognitive Disorders. Analyzing the results of 19 previously published studies, the report's authors found that piracetam was superior to placebo in the treatment of older adults with cognitive impairment. A report published in the journal Drugs in 2010 suggests that piracetam shows promise in the treatment of central nervous system disorders. Sizing up the available research on piracetam for central nervous system disorders, the report's authors determined that piracetam may aid in the treatment of depression, anxiety, myoclonus epilepsy, and tardive dyskinesia (a type of neurological disorder). Piracetam may trigger a number of side effects, such as sleep disruption, dry mouth, weight gain, and anxiety. It's important to keep in mind that supplements haven't been tested for safety and dietary supplements are largely unregulated. In some cases, the product may deliver doses that differ from the specified amount for each herb. In other cases, the product may be contaminated with other substances such as metals. Also, the safety of supplements in pregnant women, nursing mothers, children, and those with medical conditions or who are taking medications has not been established. If you're seeking an alternative to piracetam, a number of natural remedies may help improve your brain health. For instance, fish oil, a source of omega-3 fatty acids, have been found to enhance cognitive function, preserve memory, and protect against depression and Alzheimer's disease. Found naturally oily fish (including salmon, sardines, tuna, mackerel, and herring), fish oil is also sold in supplement form. Although piracetam cannot be marketed as a dietary supplement in the United States, piracetam products are widely available for purchase online. Due to the lack of research and information about potential side effects, it's too soon to recommend piracetam as a treatment for any condition. It should be noted that treating a chronic condition with piracetam and avoiding or delaying standard care may have serious consequences. If you're considering the use of piracetam in the treatment of a chronic condition, consult your physician before taking the drug. Malykh AG, Sadaie MR. "Piracetam and piracetam-like drugs: from basic science to novel clinical applications to CNS disorders." Drugs. 2010 Feb 12;70(3):287-312. Ricci S, Celani MG, Cantisani TA, Righetti E. "Piracetam for acute ischaemic stroke." Cochrane Database Syst Rev. 2012 Sep 12;9:CD000419. Waegemans T, Wilsher CR, Danniau A, Ferris SH, Kurz A, Winblad B. "Clinical efficacy of piracetam in cognitive impairment: a meta-analysis." Dement Geriatr Cogn Disord. 2002;13(4):217-24. Winblad B. "Piracetam: a review of pharmacological properties and clinical uses." CNS Drug Rev. 2005 Summer;11(2):169-82. Winnicka K, Tomasiak M, Bielawska A. "Piracetam--an old drug with novel properties?" Acta Pol Pharm. 2005 Sep-Oct;62(5):405-9. What Are the Benefits of Brahmi Oil? What Should I Know About Picamilon? Can Turmeric Improve Your Health? Use of Complementary and Alternative Medicine in the U.S. Bitter Cucumber for Better Blood Sugar Control? Why Do People Take Dandelion Root for Their Health? Can Lemon Balm Help Reduce Stress and Boost Your Health?